3M Company operates as a diversified technology company worldwide. 3M Company is a dividend king, which has raised dividends for 56 years in a row. The most recent dividend increase was in December 2014, when the Board of Directors approved a 19.90% increase in the quarterly dividend to $1.025/share. The company’s largest competitors include General Electric (GE), Siemens (SIEGY) and ABB (ABB). Over the past decade this dividend growth stock has delivered an annualized total return of 9.50% to its shareholders. Future returns will be dependent on growth in earnings and starting dividend yields obtained by shareholders. The company has managed to deliver a 7.10% average increase in annual EPS over the past decade. 3M is expected to earn $7.94 per share in 2015 and $8.78 per share in 2016. In comparison, the company earned $7.49/share in 2014. 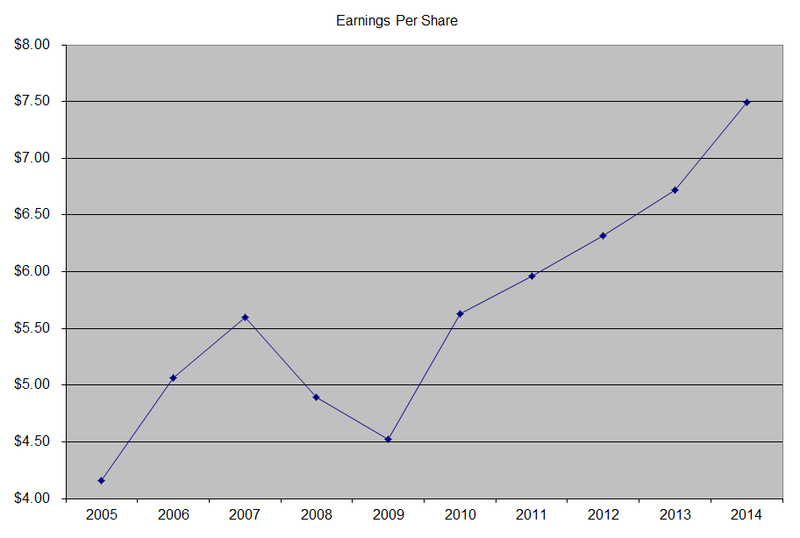 Earnings per share have also been aided by share buybacks. The number of shares outstanding has decreased from 777 million in 2005 to 649 million by 2015. 3M expects to spend somewhere in the range of $17 billion to $22 billion on share repurchases through 2017. The company’s financial objectives through 2017 include 9 – 11% growth in earnings per share, fueled by 4 – 6% annual revenue growth. In addition, 3M expects to make 5 – 10 billion in acquisitions over the next 3 - 4 years. The company spends over 5% of revenues on R&D, and has been able to discover innovative products to bolster its bottom line. 3M expects to increase R&D expense to 6% of revenues by 2017. 3M keeps careful track of new product development, using a measure called the New Product Vitality Index (NPVI), which quantifies the percentage of 3M’s sales from products that were introduced during the past five years. In 2013, the NPVI was 33%. The company is trying to increase this index to 37% by 2017. 3M allows it engineers to spend 15% of their time on their own projects, which has resulted in a lot of innovation. 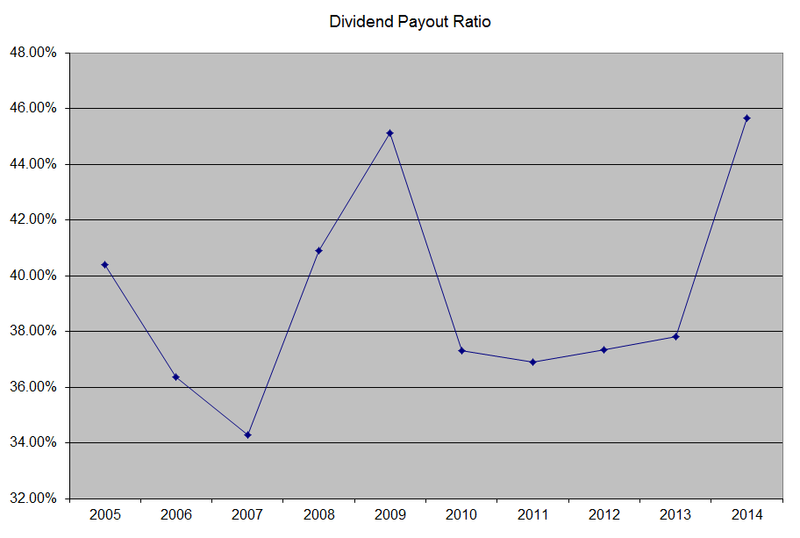 The annual dividend payment has increased by 9% per year over the past decade, which is higher than the growth in EPS. Future rates of growth in dividends will be limited to the rate of growth in earnings per share. 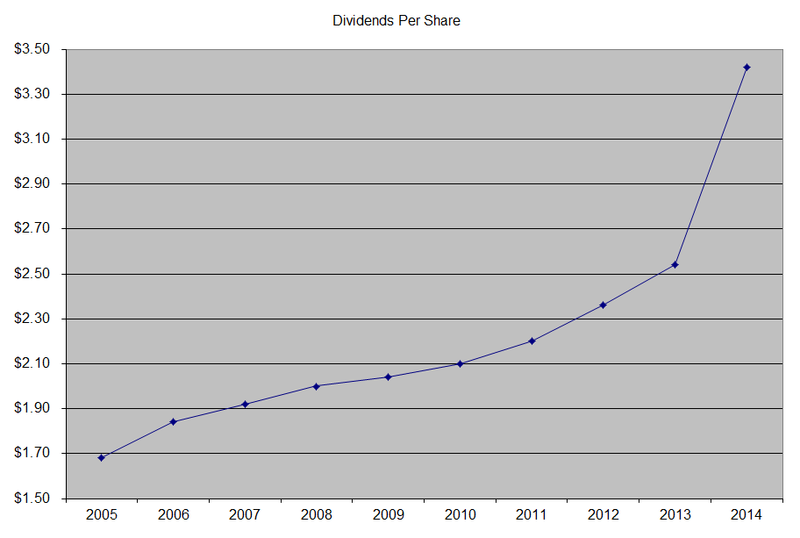 A 9% growth in distributions translates into the dividend payment doubling almost every eight years on average. If we check the dividend history, going as far back as 1973, we could see that 3M Company has managed to double dividends almost every eight and a half years on average. In the past decade, the dividend payout ratio has increased from 40.40% in 2005 to 45.70% in 2015. A lower payout is always a plus, since it leaves room for consistent dividend growth minimizing the impact of short-term fluctuations in earnings. 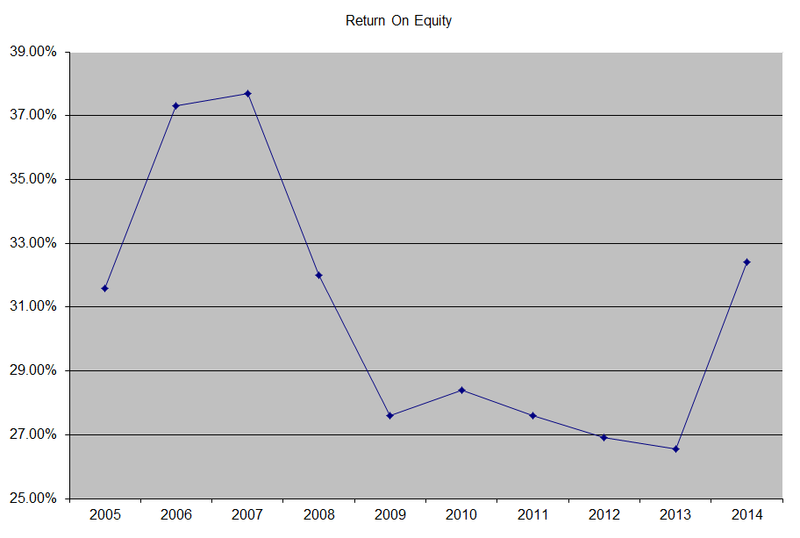 3M has also managed to maintain a high return on equity over the past decade. During out study period, this indicator ranged between a high of from 37.70% in 2007 to a low of 26.60% in 2013, while ending little changed for the decade. I generally like seeing a high return on equity, which is also relatively stable or rising over time. Currently, 3M is close to fully valued at 19.70 times forward earnings and a current yield of 2.60%. Last week, I added a little to my position in 3M. I would be excited to increase my exposure to this quality company on further dips in the stock price.